Despite the unrelenting cold, what a fantastically sunny day it has been. Unsurprisingly, my study schedule suffered a setback when I decided that such a rare day could not be spent cooped up in my little flat. Given that I exist on a student budget, it is problematic that virtually all of my outdoor excursions wind-up in bookshops. Today absolutely followed that trend. Thank you Waterstones for draining my bank account with your year-round ‘Buy One Get One Half Price’ offers. This particular book selection has no bearing on recommendations made to me (with the exception of Gone With The Wind, which I’m ashamed to say I have never given a chance). Instead, they are the product of 30 minutes browsing and page-flicking. 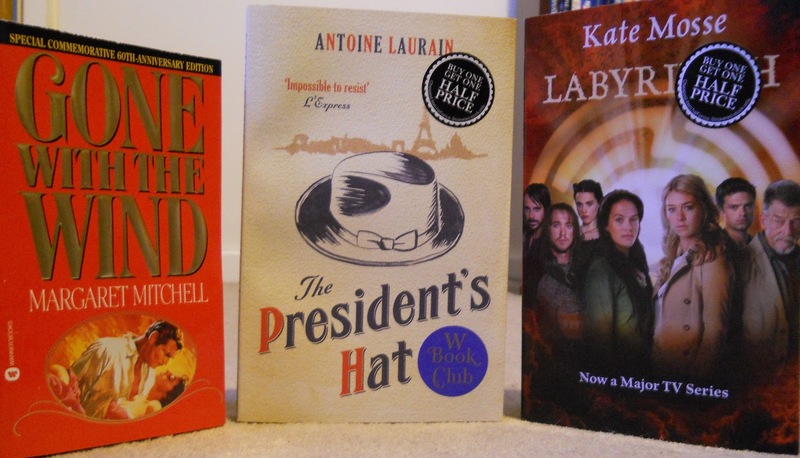 I am particularly excited to read The President’s Hat – the story of an encounter between an accountant and President Francois Mitterand’s black felt hat in 1980s Paris. I really enjoy classic French fiction but have not spent much time looking for contemporary works, so this promises to be an interesting read! The principal disadvantage of gaining three new books is that is forces me to confront the literary chaos that completely dominates my life. Despite years of trying, I am still unable to exercise any kind of control over my expanding library. 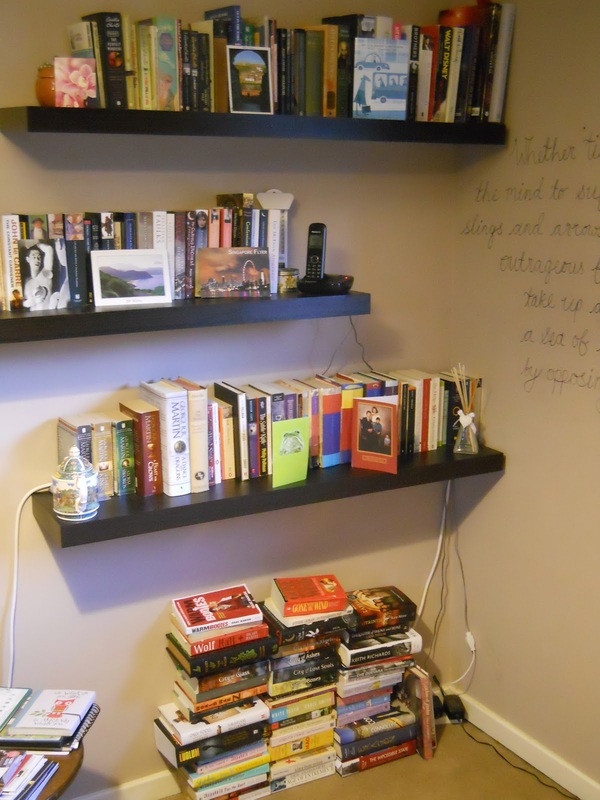 When I moved into my own flat two years ago, I was excited by the prospect of obtaining some sort of order – primarily in the form of some amazing floating bookshelves. These shelves were stacked with the best of intentions. But as they began to groan under the weight of my passion, I could not prevent the chaos seeping back into my life. Stacks of books started to materialise anywhere and everywhere. Every room, every shelf, any available floor space. Order and chaos. What’s a girl to do? So it’s back to the drawing board. With another impending house move this September that will likely see me confining all of my belongings to one room in a shared flat, I am already starting to think about how to redress the order-chaos balance. 25 years in and I’m beginning to give up hope.